Awarded for excellence, a warm Greek welcome is waiting to delight your arrival. 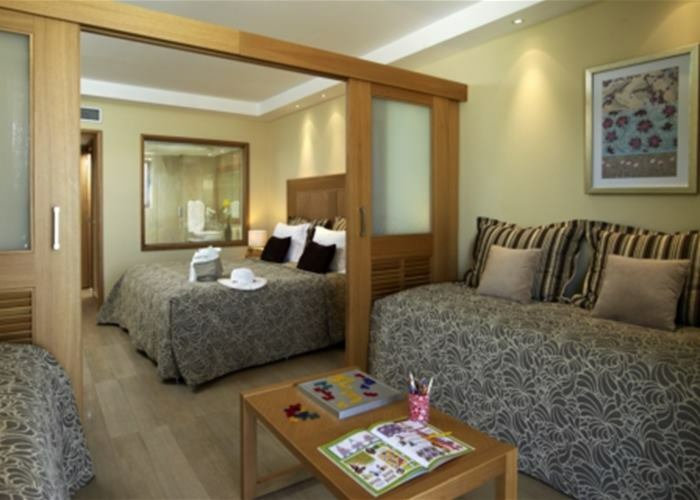 Top class accommodation is just a small part on offer at the Atlantica Aegean Park. If you prefer to sit on your balcony with a cocktail in hand and a view to the sea then opt for one of our Premium seaside rooms that offers everything and more whilst on holiday. If you like to dip your toes in to the pool then our swim up rooms will make the perfect choice. Nestled right up to mount Tsambika, you get the true feeling of Greece all topped off with the renowned Atlantica service. There’s plenty to indulge in when it comes to food & drink from some mouth-watering fish dishes to a traditional Greek meze. This place creates holidays that are remembered for a lifetime. 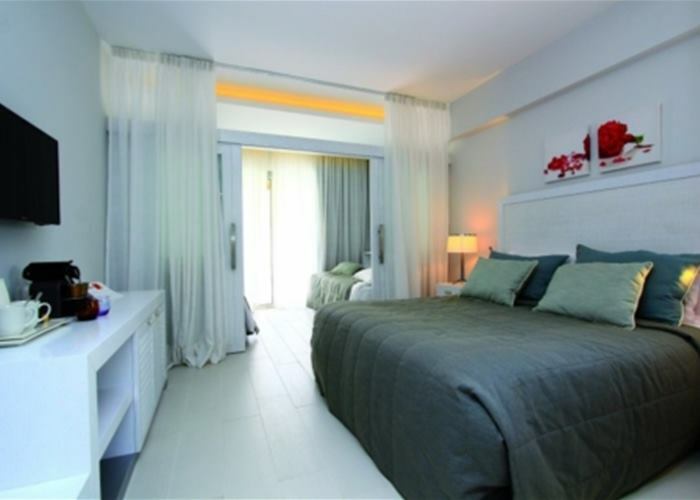 These rooms carry a modern touch and have great practical space for comfortable living on holidays. Rooms sleep up to 3 and come with mini fridge, LCD TV and air conditioning. It's worth noting that you can also select an upgraded category of our double room with a swim-up pool, which offers the added benefit of sun loungers and jacuzzi on the terrace. You can certainly see and feel the luxury in these rooms and they include all the necessities to make up a perfect family holiday. There are two sleeping areas separated by a sliding partition and sleep up to 4 people. 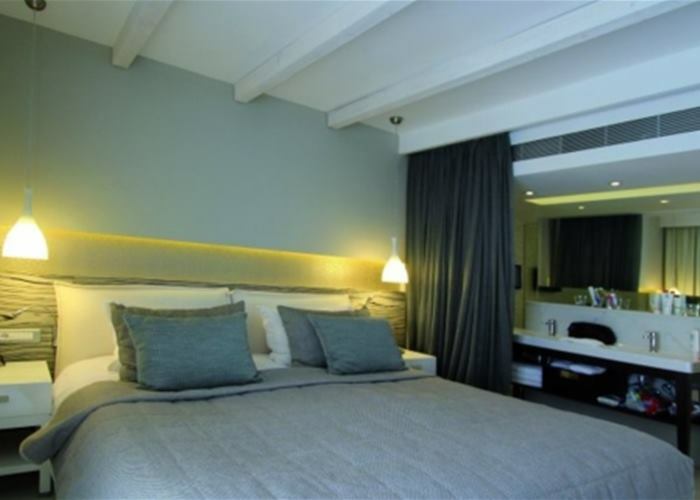 Rooms come complete with indoor jacuzzi bathtub, bathrobes & slippers, mini fridge, LCD TV and air conditioning. Here's where the view is just as important as the room and these certainly take some defeating. There are two sleeping areas separated by a sliding partition and sleep up to 4 people. Swim up pool hitches right up to your terrace with private sun loungers & jacuzzi, whilst the rooms come complete with bathrobes & slippers, mini fridge, LCD TV and air conditioning. Here's where the view is just as important as the room and these certainly take some defeating. There are two sleeping areas separated by a sliding partition and sleep up to 4 people. Rooms come complete with bathrobes & slippers, sun beds on the balcony, indoor jacuzzi bathtub, mini fridge, LCD TV and air conditioning. You can certainly see and feel the luxury in these rooms and they include all the necessities to make up a perfect family holiday. There are two sleeping areas separated by a sliding partition and sleep up to 4 people. A swim up pool hitches right up to your terrace with private sun loungers & jacuzzi, whilst the rooms come complete with indoor jacuzzi bathtub, bathrobes & slippers, mini fridge, LCD TV and air conditioning. Space and privacy is important when it comes to holidays with kids so these rooms offer a sliding partition with a double bed on one side and two single beds for the little ones on the opposite side. Rooms sleep up to 4 and come with mini fridge, LCD TV and air conditioning. It's worth noting that you can also select an upgraded category of our family room with a swim-up pool, which offers the added benefit of sun loungers on the terrace. Note: We have 3 adapted rooms for guest's that require special assistance and this must be booked in advance. 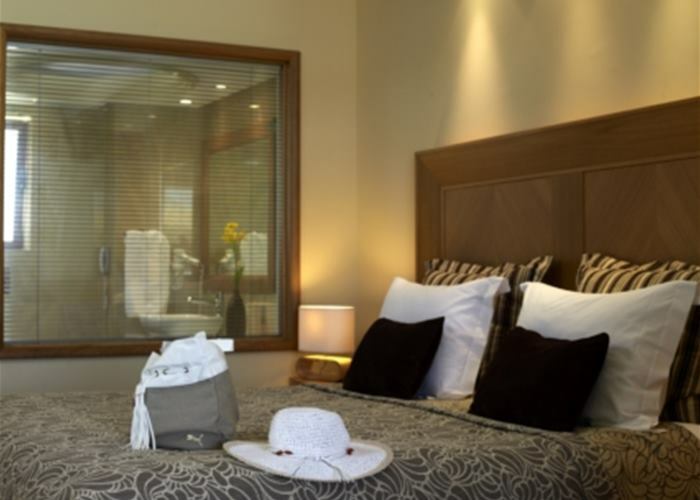 This has to be our most exclusive suite, making your holiday the most comfortable and enjoyable experience. 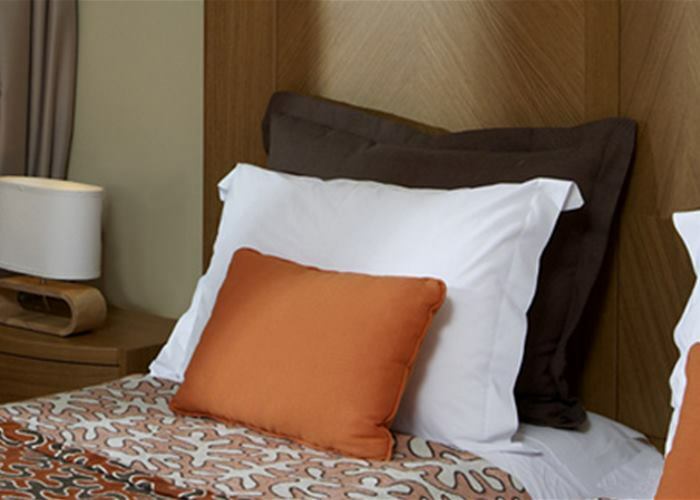 Suites sleep up to 4 people with two bedrooms and one living room all elegantly furnished to the highest of standards. A swim up pool with jacuzzi is accessible from the terrace and suites come complete with bathrobes & slippers, sun beds on the balcony, mini fridge, LCD TV and air conditioning. These spacious suites have a fresh and neutral feel and a great for the larger family. 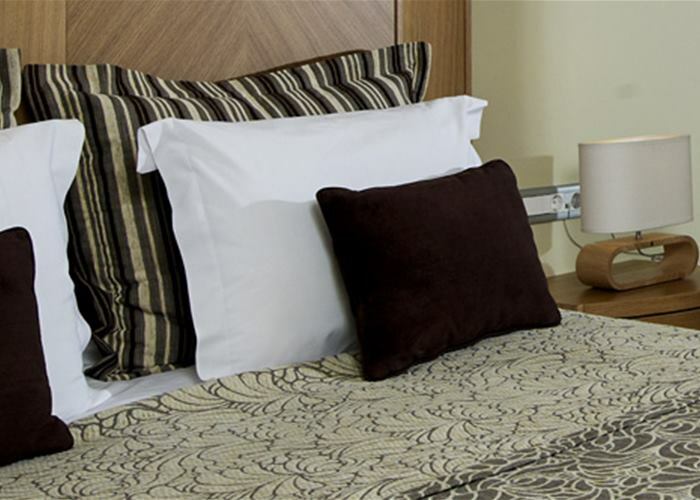 Suites sleep up to 5 people with one double bed, two single beds in the other room and an additional sofa bed . 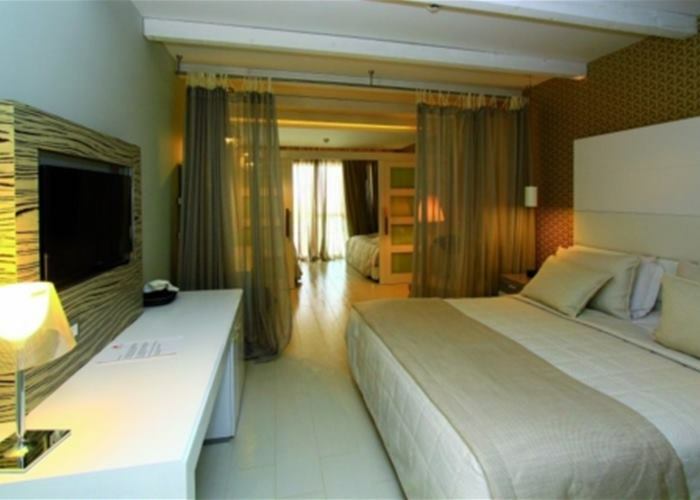 Rooms are separated by a closing door and come with mini fridge, LCD TV and air conditioning. 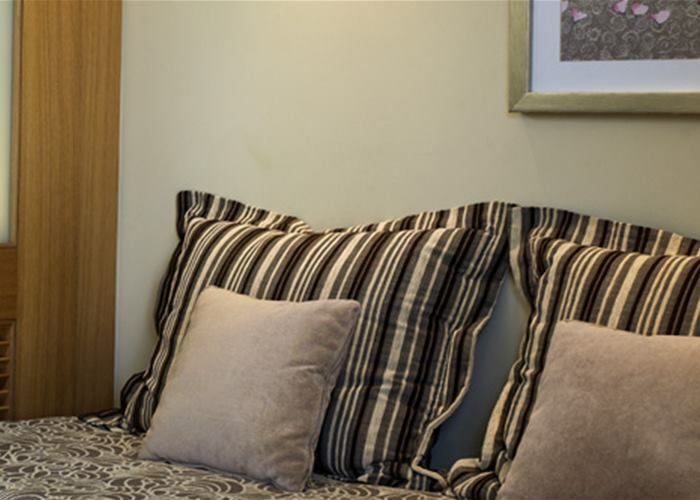 Our suites with larger balconies also include sun loungers on the terrace and are subject to availability.The Family Suite in the main building have one room with one double bed with an additional sofa bed and two sofa beds in the living room. These spacious suites offer a true touch of elegance and comfortably sleep up to 5 people. 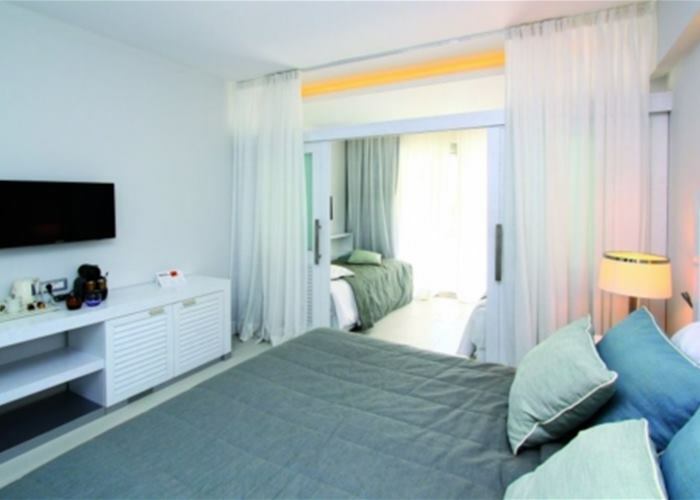 Suites have stunning views to the sea with swim up access and come complete with bathrobes & slippers, sun beds on the balcony, mini fridge, LCD TV and air conditioning.